The PGiC was one of the five projects selected to be pitched at the Research Showcase of the Control Conference 2015, Holland’s premier game development event, organised by game dev publication Control. The Research Showcase aims to facilitate collaboration between the game researchers and the game industry and give visibility to game research studies out of the academic environment. Ruud Jacobs was the ambassador of the PGiC project at the session, where he was challenged to present the objectives of our project in five minutes. 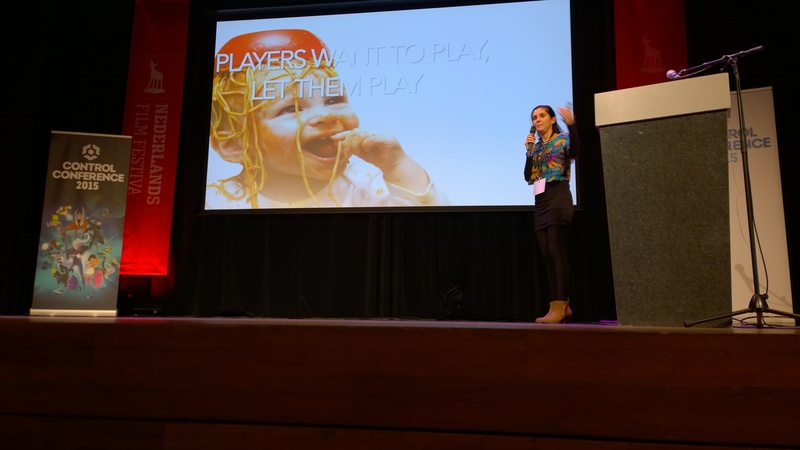 Furthermore, Teresa de la Hera was invited to talk at the conference about the challenges of finding a good balance between fun and efficiency in persuasive games. In a 30 minutes talk De la Hera went through 5 useful tips that were thought to help persuasive game designers to prevent common and easy avoidable mistakes by facilitating the integration of communication strategies within fun games.